Maize lethal necrosis (MLN) arises from the interaction of two viruses: maize chlorotic mottle virus (MSMV) and a virus from a group named potyviruses, often sugarcane mosaic virus (SCMV). But traditional modelling has focused on understanding just one virus at a time. By modelling the spread of these two co-infecting viruses together, within and between growing seasons, the team has shed new light on the disease that will help farmers to manage it effectively. The study, published this week in the journal Phytopathology, demonstrates that a combination of crop rotation, using virus-free 'clean seed', roguing (removing plants showing disease symptoms) and controlling insect pests is the best way to control MLN. It also highlighted differences in the ability of large and small growers to prevent loss of their maize crop. "Larger growers have more money for insecticides and buying clean seed, both of which can greatly reduce disease levels. Crop rotation - an important component of control for smaller growers - disrupts transmission from season to season, but it requires coordination between farmers to ensure the virus doesn't build up in surrounding fields. Unless significant investment is made in farmer training, this unfortunately remains more realistic for larger farmers, who tend to be better organized and to have larger growing areas," said Dr Nik Cunniffe, an expert in mathematical biology based in Cambridge's Department of Plant Sciences, who contributed to the work. Modelling the effects of two viruses infecting the same plant is rarely done, despite this happening frequently in the real world. The approach is highly relevant for other regions of the world where Maize Lethal Necrosis is an emerging threat to maize production, such as South East Asia and South America. It could also inform the management and control of other destructive plant diseases caused by combinations of pathogens, such as sweet potato virus disease in Africa and rice tungro disease in Asia. "We've developed a new framework to model co-infecting viruses, such as those causing Maize Lethal Necrosis, even when there's not very much biological information available. When two viruses infect a plant they can interact with each other to cause much worse symptoms and greater losses of yield. 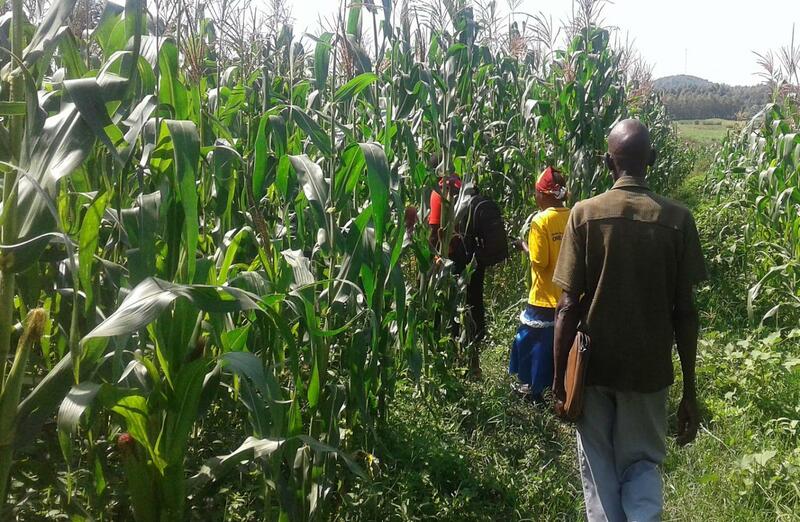 If you're a subsistence farmer relying on income from the maize you're growing, infection of the crop with MLN can be devastating," Cunniffe said. Maize is one of sub-Saharan Africa's staple food crops, and MLN has been spreading in Kenya for the last six years, causing devastating harvest losses of up to 90% in heavily affected regions. This affects not only direct availability of food, but also local income and employment. 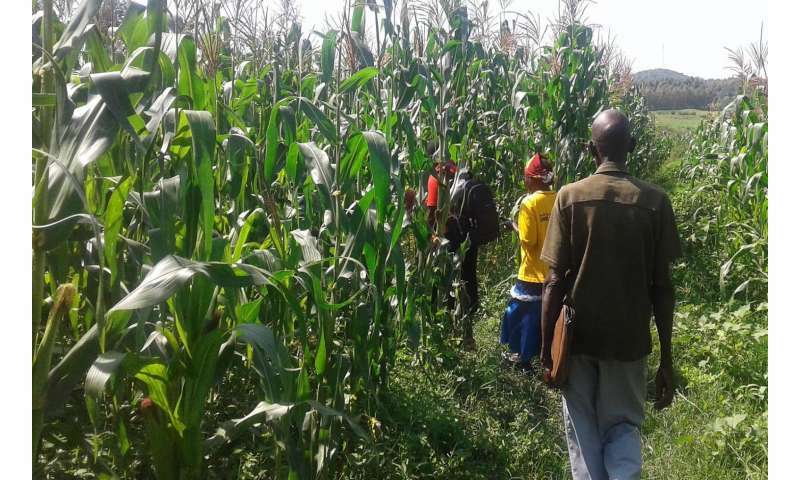 The study focused on Maize Lethal Necrosis disease in Kenya, where crop losses are particularly high, although the disease has spread to other countries in Africa. Infected corn plants die prematurely or are frequently barren, drastically reducing the yield. Most of the nation's maize supply comes from small to medium-size farms, which are less able to withstand threats to their food production than large resource-rich farms. With the global population estimated to reach nine billion people by 2050, producing enough food will be one of this century's greatest challenges. Cunniffe is a member of the Cambridge Global Food Security Initiative at Cambridge, which is involved in addressing the issues surrounding food security at local, national and international scales. The Initiative recognises that expertise from many disciplines is required to develop effective solutions. The research arose from the NIMBioS Working Group on Multiscale Vectored Plant Viruses, which included mathematicians, ecologists, plant pathologists, and evolutionary biologists who met over several years to develop novel mathematical methods for the study of plant pathology. It was funded by the National Institute for Mathematical and Biological Synthesis.